The statue, was consecrated in 1982 but the story behind this is what interests anybody. Every middle-aged and elderly person in Dakshina Kannada district has some such memories related to the Bahubali of Dharmasthala. Bahubali, the Jain monk towers over Karnataka’s history and it is not only the gigantic statue of the royal turned ascetic at Shravanabelagola which has captured the imagination of every history lover over the years. There is another Bahubali carved out 40 years ago and its fourth Maha Mastakabhisheka will be celebrated this month at Dharmasthala where it lords over people’s dreams and destinies. GURURAJ A. PANIYADI delves into history to trace how this magnificent statue took shape. It was nothing less than the annual festival in every village that lasted for several months. Everybody in Dakshina Kannada district and even outside, 40 years ago wanted to be a part of the great event- the carving of the massive Bahubali statue, its transportation and the first Maha Mastakabhisheka! People even queued up to see the carving of the massive monolith at Karkala and later rushed to witness the transportation of this monolith from Karkala to Dharmasthala which is 64 kms away. 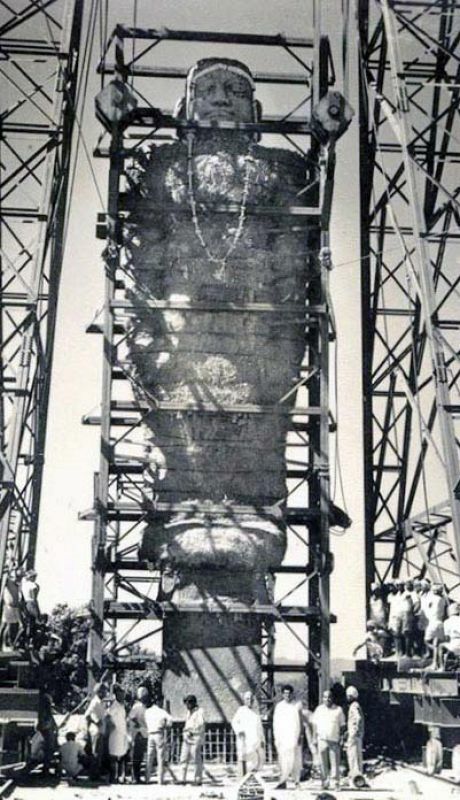 Carved at Karkala, the gigantic monolithic statue, 39 ft. high, with a pedestal of 13 feet weighing about 170 tonnes, had to cover 64 kms and reach the destination at Dharmasthala. It was nothing but a challenge. Probably no other Bahubali statue might have travelled so long from the place of carving to the place of installation. Every single person in the village enroute was enthusiastic about the event and participated in the transport of the monolith. Four decades down the line, much water has flown in the River Netravathi and the same Abdul Khader, who used to eagerly watch the idol of Bahubali, is today supervising all the government work at Dharmasthala town which is gearing up for the fourth Maha Mastakabhisheka. Abdul Khader has grown to be District Incharge Minister Mr U.T. Khader! The fourth Mama Mastakabhisheka to Lord Bahubali of Dharmasthala was inaugurated on Saturday and will continue till February 18. The Maha Mastakabhisheka itself would be held for three days on February 16, 17 and 18. At a meeting held to supervise the readiness of the Maha Mastakabhisheka last week, U.T. Khader went down memory lane and relived his childhood days. “I was probably in 4th standard then. The idol of Lord Bahubali was carved at Karkala and had to be transported to Dharmasthala. That was big news then. Newspapers used to report every detail. People would speak about it as it was the greatest event then. Such a big monolith being transported in a massive trolley was unbelievable. We had never seen such a trolley till then. People would come to have a glance at it. They would see how the statue was transported. 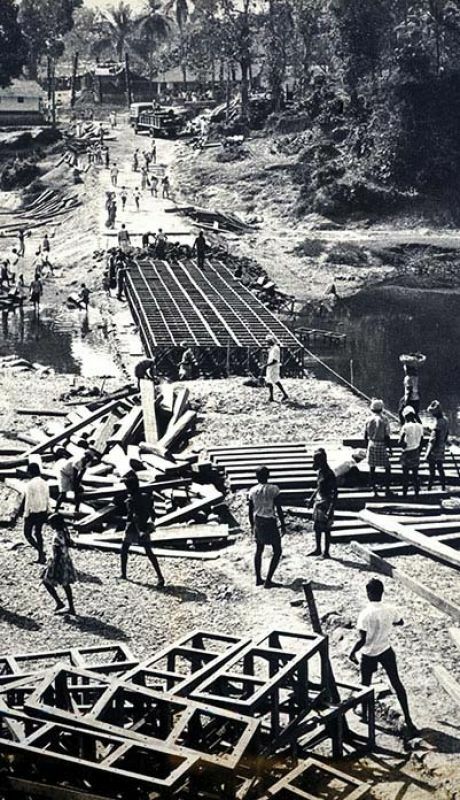 A new bridge was also built, care was taken to see that the existing road and bridges were not damaged. Everybody wanted to be a part of history in the making. My father was an MLA then and I still remember how I attended the function,” Minister U .T. Khader recollects. Every middle-aged and elderly person in Dakshina Kannada district has some such memories related to the Bahubali of Dharmasthala. “There has been great support and co-operation from the devotees for the event right from transportation of the statue. This shows the secular flavour of the Kshetra. The message of peace and harmony which Lord Bahubali had given is popular among the people at Dharmasthala,” Dr Veerendra Heggade, Dharmasthala dharmadhikari said. “Rituals remain the same but we have seen much improvement in the last three Maha Mastakabhishekas. Technology has improved in the last four decades due to which organising such a programme has become much easier. Through media we are able to reach more people, through technological innovations and improvement we are able to organise the event in a better way. We have strong scaffolding and better arrangements for the devotees to witness the grand event,” he added. “Four decades ago arrangements including boarding was difficult. Transportation was also a problem and we did not have as many employees. However today things have changed and we are able to make many improvements,” he said. The statue, was consecrated in 1982 but the story behind this is what interests anybody.The idea of consecrating a Bahubali statue at Dharmasthala was envisioned by Late Shri Rathnavarma Heggade who observed that Bahubali statues around the state contributed towards the holistic well being of society, as they brought together people from all communities, spread the message of peace, as well as inculcated in people the essence of simplicity in the midst of celebration. He shared his vision with his wife Maatrushree Ratnamma who too agreed and stood by him. Shashikanth Jain, an astrologer from Bengaluru selected Rajatagiri as the place to install the monolith. The foundation stone was laid for the statue by the then President of India, V V Giri. When the search began for a great and efficient sculptor who could efficiently bring a stone to life in the form of Bahubali- the famed sculptor from Karkala, sixty four year old Renjala Gopala Shenoy was approached. Gopala Shenoy was to carve one of the greatest masterpieces of the modern era and bring Dharmasthala on the map of the few places with a Bahubali Monolith. The work began at Mangala Pade at Karkala on the auspicious occasion of Vijayadashami in 1967. On an average, 25 labourers worked for nearly 6 years and completed the statue. The best sculptors were handpicked by Gopala Shenoy as there could not be any mistake in the carving. 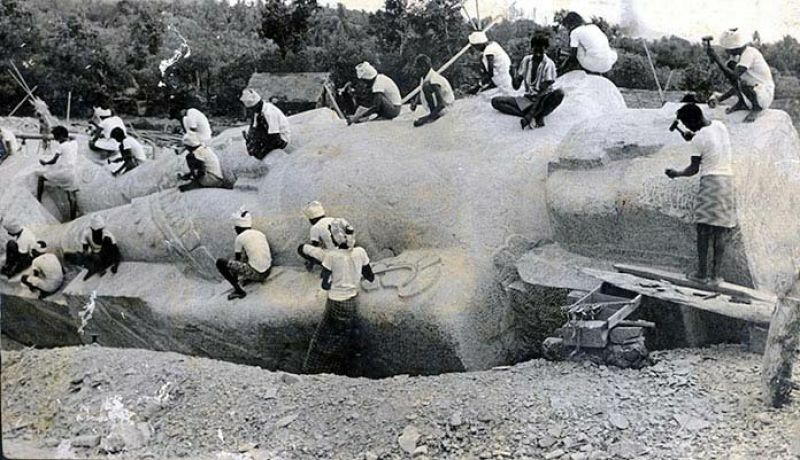 Once completed, a massive statue that would attract lakhs of devotees was ready. It was to make history as Dharmasthala would be one among the places like Shravanabelagola, Karkala and Venur with Bahubali monoliths . Though the statue resembles Bahubali statues in other parts of the state, this has some unique factors such as elephants showering flowers over the feet of the statue and divine creatures untangling the creepers around the body. 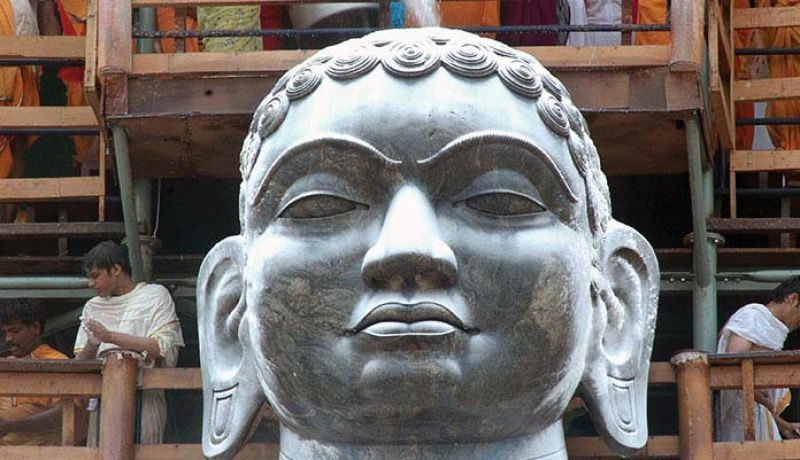 Except for the serious expression on the face that overlooks the world through half closed eyes, the statue, with a breadth of 224 inches, resembles the one at Venur. bridges, the railway department played a crucial role. Temporary bridges were constructed in five place - Sanoor, Hosangadi, Venur, Belthangady and Dharmasthala. 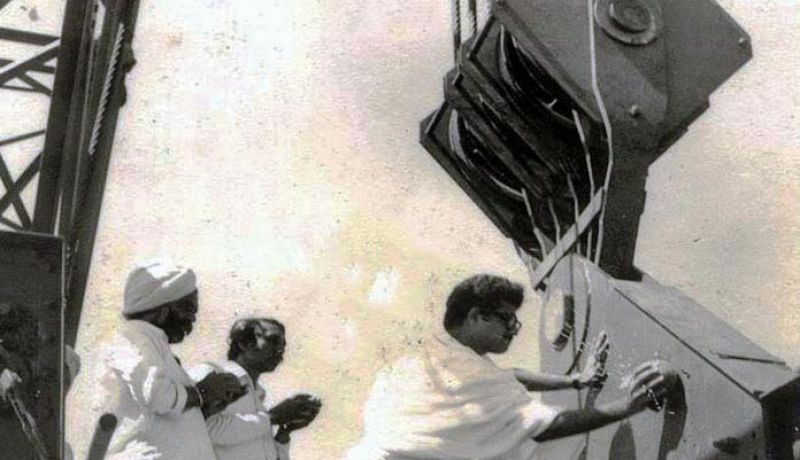 After the 23 day long journey the trolley reached Dharmasthala on March 20, 1973. Hindustan Construction Works, a Mumbai based company was approached for installing the monolith. Once the statue was installed, it was ready for religious events. 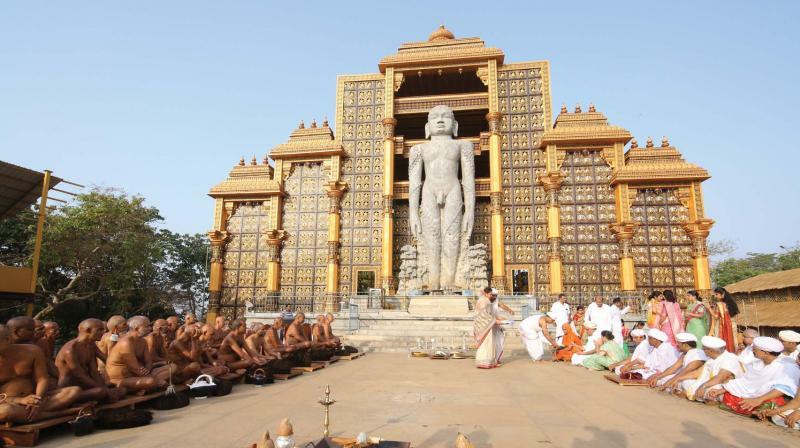 The statue was consecrated under the guidance of the Jain Muni Vidyananda Maharaj and the first Mastakabhisheka for Bahubali at Dharmasthala was conducted. Another important attraction of the event was that the Bahubali statue was clad in royal attire. This event can be seen only during the first Mastakabhisheka where there is a symbolic recreation of the great moment of Bahubali deciding to renounce his worldly pleasures seeking salvation. During the event, the royal attire is removed forever, representing the renunciation that Bahubali practised.